The leisurely pace of golf helps you calm down and turn your attention away from work, school, or any other source of your stress. By focusing on one shot at a time, you can develop a step-by-step mentality that relieves anxiety and reduces tension. In addition, spending time in nature has been linked to boosts in serotonin, a neurotransmitter that promotes satisfaction. While urban environments produce fear and chaos, nature soothes and de-stresses. Physical exercise typically stimulates blood circulation because muscle contraction helps move blood through the veins back to the heart. Exercise requires more oxygen than rest, so the heart pumps oxygenated blood to the muscles at a faster rate, more efficiently delivering nutrients and removing waste from your body. Walking an 18-hole round can burn over 1000 calories-- close to half of an average adult’s recommended calorie intake. Although the exact calorie count varies depending on whether you carry your own clubs or how long the course is, golf is a healthy way to cut your daily calorie intake and stay healthy. The golf swing is no doubt a complex formation that requires precise timing and posture. As frustrating it is to correct your golf swing, a well-defined swing can promote flexibility in your ankles, knees, hips, and shoulders. Flexibility prevents pain and reduces lethargy, improving your performance in other activities. Likewise, the complicity of the golf swing refines your hand-eye coordination. Training to hold your backswing, strike the ball, and swing through in just a matter of seconds contributes to your overall hand-eye coordination. Hand-eye coordination is crucial because it affects your performance in everyday activities, such as typing and driving. Shifting your weight from one foot to the other and holding the correct pose after swinging contributes to your balance. Proper balance can help distribute body weight evenly and correct your posture. Sunlight naturally stimulates your body to synthesize Vitamin D, which promotes bone growth and reduces the risk of heart disease, depression, and certain cancers. This vitamin also strengthens your immune system, fortifying your body to defend itself against infections. While some people take pills for Vitamin D, these supplements can have inconsistent results and can even be unsafe. 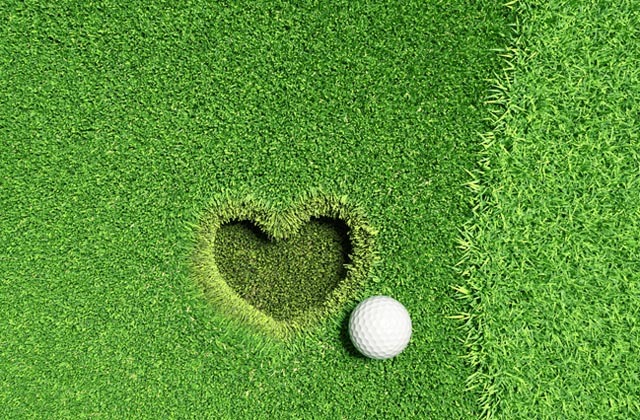 There are many other health benefits of golf, such as better sleep and brain support. At the same time, it is important to recognize dangers on the course, including overexposure to sunlight. However, by taking precautions and avoiding injury, golf is an excellent sport for maintaining your physique and staying healthy.